By now, most of America has heard the sad news about the passing of both golf legend Arnold Palmer and Marlins pitcher, Jose Fernandez. The news is yet again another reminder of just how fragile and unpredictable life can be. Knowing that we will never have full control over our fate should push us to do whatever is necessary to protect our loved ones from the unknown. One way we can offer our family protection is through the creation of an estate plan. Estate planning is preparing during your life for how you wish your assets to be distributed or managed in the event you become incapacitated or pass away. Assets such as your financial accounts, your children, your business or your real property – you can retain control over management even after death. There are many estate planning tools to help you accomplish these goals. Perhaps the most favorable tool used in protecting one’s assets is the Revocable Living Trust but what about the lesser discussed (but equally important) Irrevocable Trust? An irrevocable trust is an estate planning and asset protection tool that provides creditor protection in a way that the Revocable Living Trust does not. Upon execution the grantor relinquishes control of his or her assets, a realization that makes some clients uncomfortable. However, it is the relinquishment of control or ownership of the assets that trigger the asset protection. The assets will then be held in trust for the benefit of the beneficiaries and not the grantor, so any creditors of the grantor will be unable to reach these assets. They remain safe and intact for the beneficiaries no matter what life decides to throw at you. If the idea of losing control still seems unsettling, consider this: you as the grantor create the terms of the trust. You decide who will control distributions, how those distributions will be made and who will benefit from said distributions. The Irrevocable Trust is a great planning tool for those who want that asset protection and want to have extended control. For more information on Irrevocable Trusts or other Estate Planning tools, please visit our website at www.wfplaw.com or call (954) 944-2855 for your free consultation. If you’re like most of us then your fantasy football draft parties have ended, your team is locked in and you’re ready to be glued to the screen every Football Sunday. If you planned properly you just might win that money at the end and, more importantly, bragging rights. Planning is crucial to success, both in football and in life. As such, a successful estate plan will require some planning ahead. Whether you’re single, married, have children or don’t – you WILL benefit from estate planning. Creating an estate plan means you remain in control over your assets even after your death. When children enter the picture, you’re going to want to ensure that they are provided for. Your estate plan will not only allow for your children’s financial needs to be met but will provide for their emotional needs as well. Every estate plan created provides full protection through the creation of seven documents: The Living Revocable Trust, Assignment of Property to the Trust, Last Will and Testament, Living Will, Durable Power of Attorney, Healthcare Surrogate, and HIPAA Release. The Last Will and Testament is where you will appoint a Guardian to raise your child. If you don’t want the guardian to have control over the child’s finances, then you can appoint a different individual for that task. You may also lay out any specific cremation or burial requests and designate a Personal Representative in your Will. Your Durable Power of Attorney will designate individuals to make important financial decisions on your behalf while the Healthcare Surrogate will appoint someone to make important healthcare decisions for you. The plan is flexible and can be created to accomplish your specific goals. Don’t delay. Do plan ahead! 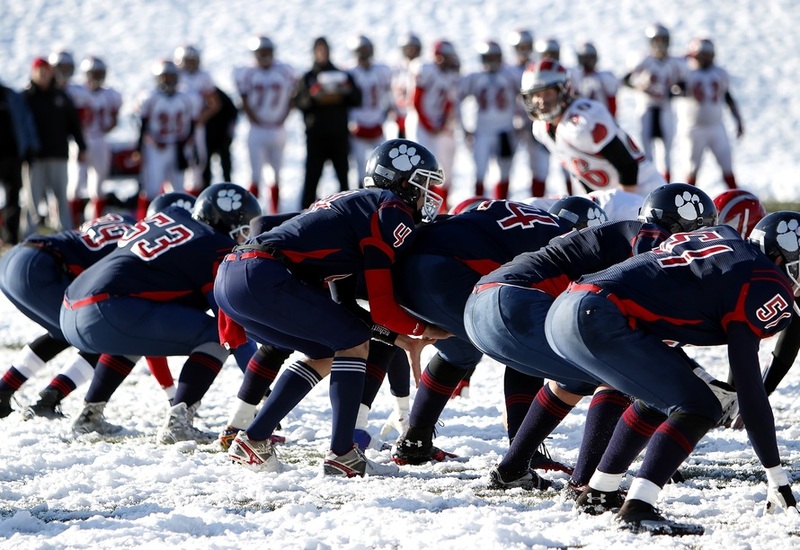 Take a break from your football obsessions and make an appointment to get your estate plan today. Consultations are free and the peace of mind from preparing is priceless so call (954) 944-2855 to make your appointment today! Estate Planning is never just “set it and forget it.” No matter what the scoreboard says, it is always important to have your estate plan reviewed by an estate planning attorney every three to five years. Children: Sometimes your Will & Last Testament will provide for after-born children, but you should take the document to your estate-planning attorney to ensure that your little bundle of joy is provided for. Additionally, you may want to set up a trust, a 529- college plan, alter beneficiary designations in your will, and nominate a legal guardian. Each game plan is incorporated as a means of constructing a distinct strategic advantage. The same is true for wealth management and asset protection plans. While a Last Will & Testament is an essential component of any winning game plan, it is often necessary to tackle your goals with the incorporation of a Living Trust. 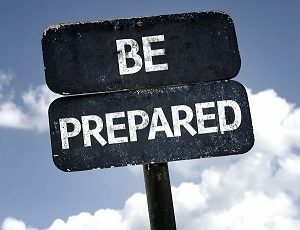 Look to the following game plans to determine which supplies the best strategic advantages for your asset protection goals. A Will is crucial in any estate plan. This is the document that will be used to determine your intent regarding the distribution of your property. Thus, without it, all of your assets will be distributed according to State statute, which may be a departure from your own personal wishes. Furthermore, if you have any minor children, you can designate a legal guardian, thereby communicating your wishes to the court when the time comes for a guardian to be appointed. As you can see, this is the foundation of your game plan. This game plan combines your testamentary wishes with further protection by having the Will pour-over into a Trust. The will coupled with a trust effectively bypasses probate, which is the validation of the will — a process that is often incredibly time consuming and often expensive. The pour-over will takes all of the property that passes through the will, and funnels it into the trust. Said property is then distributed to the trust beneficiaries pursuant to the terms of the trust. A pour-over will functions to ensure that all of the decedent’s property is transferred to trust. Think of the pour-over will as a safety net that catches all of the assets that were not properly transferred into trust. All the contents of the net are then poured into the trust, ensuring that all of the property is ultimately distributed through the living trust. Furthermore, all of the decedent’s property is distributed by the terms of one document alone (the trust), allowing for simplicity and clarity. You need a Last Will & Testament in every winning succession game plan; however, combining it with a Living Trust may be one of your most important strategic advantages! It’s a Wild world. Are you protected?